Fully adjustable pistol display holder. Allows you to display just about all types of pistols. 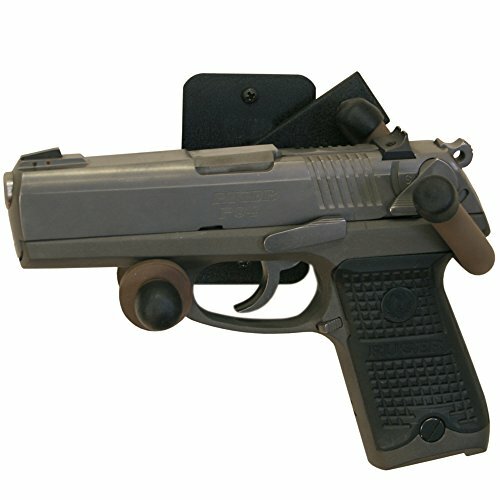 Fully adjustable to contour to most pistols. The holder is made of a soft non staining rubber material. The mount can face either direction. Great way to display your replica firearms. Very sturdy and solid, mounts to any flat wall surface in minutes. Made in the USA. Quality material and craftmanship with a Liftime Warranty on all fixtures. Doubles as a pistol holder or a fishing rod holder. Durable black powder coat finish / Non Staining Material.